Is it getting colder, or is it just us? Escape the winter chill and take in some brilliant films in our cosy cinema - our new Cinema Guide has lots to choose from! 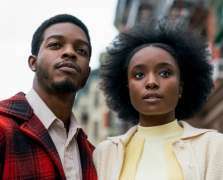 The awards season is here and this guide features a whopping seven Oscar-nominated films: Mary Queen of Scots, If Beale Street Could Talk, Capernaum, Green Book, Can You Ever Forgive Me?, Vice and Hale County This Morning, This Evening. Think you can you correctly guess the winners of this year's Academy Awards? Enter our Oscars competition and you could win a year of free cinema trips. Alongside these awards contenders we have plenty more to look forward to, including the chance to take in some Japanese culture with the Japan Foundation Touring Film Programme, a romantic favourite for Valentine's Day with Notting Hill, and don't miss this Guide's DUNDEAD feature: Ridley Scott's Alien, back on the big screen celebrating its 40th anniversary. "By the time this cinema guide hits the stands the Awards season will be in full swing. We know that for you, our loyal cinema audience, this signals one of the most exciting moments of the cinema calendar: DCA’s annual Oscar competition! We invite everyone to send us their predictions for which films will be the lucky winners in 2019. Guess correctly and you could win the coveted golden ticket – free cinema entry for an entire year! Full details about how to submit your entries as well as terms and conditions are available on the DCA website. We know which films are our ‘Favourites’ (hint hint) but we are sure that some of you will take a more strategic approach to your lists! 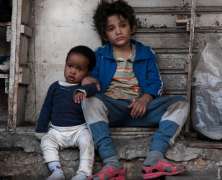 And top tip – if you want to brush up on your chances for guessing Best Film in a Foreign Language correctly, definitely make sure to see Capernaum which is on this month. In what has ended up being a stellar year for this Oscar category, both of these films are strong contenders. Dundee’s Women’s Festival returns in March with events and workshops taking place all across the city throughout the two week period. DCA will be hosting a variety of events including a very special cine concert Assunta Spina taking place on Sun 3 March. It was with great pride though that when putting together this guide, I realised though that there are so many wonderful films which feature women as key creative players – as writers, directors, actors and subject matter. It is satisfying to think that this was not a conscious choice on my part but rather an indication that times, they are a-changin’, and this is a simple reflection of the role women play in cinema today. Long may it continue! Finally, we are delighted to be collaborating once again with the Japan Foundation to bring their annual showcase of new and classic cinema from Japan to Dundee. The theme this year, People Still Call It Love: Passion, Affection and Destruction in Japanese Cinema includes a wide range of films from anime to classics – a wonderful opportunity to experience Japanese culture through the magic of cinema. あり がとうございました!" We look forward to seeing you at the cinema soon. Don't forget to tell us which films you're enjoying using the hashtag #helloDCA - you could win free cinema tickets!